Men are lucky. It’s generally accepted, for better or worse, that a little age looks good on a man. The masculine ideal has never been focused on youth, necessarily, but more on vitality, ruggedness and a certain angularity. Think of Robert Redford, Jon Hamm, Jeff Bridges, the Marlboro Man: all of these men are symbols of the classic American dude and none of them could be accused of hiding their age. But it’s a fact of life that everyone ages (even those guys). Sure, men may look better with a little “experience,” but the hands of time are impossible to stop. We don’t have to completely resign ourselves to this inevitability, though. There are plenty of things men can do to control the process. The best way is with the right skincare and treatments. It’s never too early to start taking care of your skin, but it can get too late — so if you don’t have a regimen yet, today’s the day you should start one. I’ve outlined a simple, effective range of powerful products which use scientific and natural methods to help preserve your skin and help soften the hard edges of aging. Use one of them (or, even better, all of them) to ensure that you join the ranks of the gracefully rugged. One of the first places men start to show signs of aging is around the eyes, so if you’re not using an eye cream, get on it now (it’s never too early). Perricone MD Cold Plasma+ Eye ($57) is a highly potent formula that uses copper and vitamin C specially formulated to address common aging problems like dark circles, puffiness and crow’s feet. Use this morning and evening to not only help maintain those youthful peepers, but also hide any evidence of that party last night. As we get older, our skin not only loses collagen, but also takes longer to regenerate. 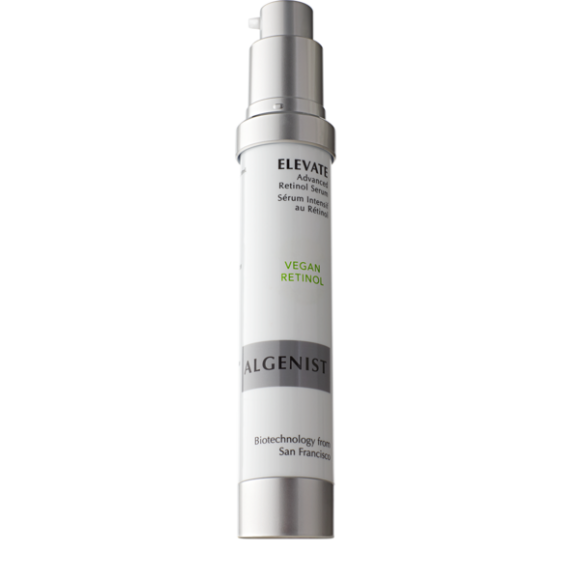 Cellular turnover is what keeps our dermis looking tight, smooth and young, making it a vital process in skin health. The good news is that we can help preserve this process by using peptides. These protein molecules help preserve the amino acid chains vital for collagen production. 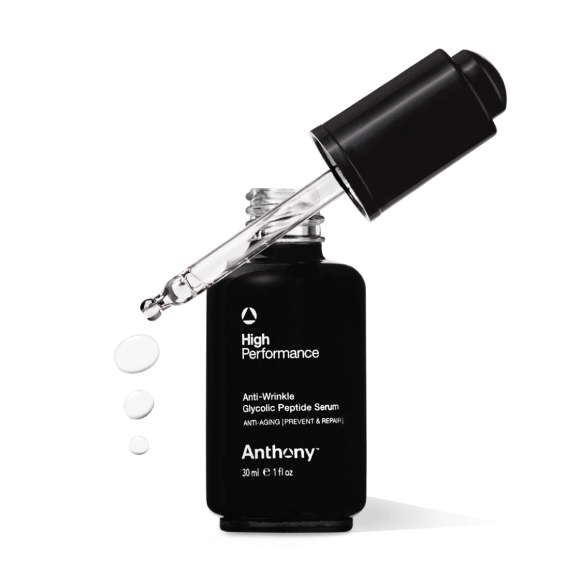 Anthony High Performance Anti-Wrinkle Glycolic Peptide Serum ($55) gives your skin those essential proteins it needs to fight wrinkles, but also gently exfoliates to help improve skin texture and the appearance of hyperpigmentation with glycolic acid. If you’re not exfoliating regularly, you’re not helping your case when it comes to anti-aging. Getting rid of those dead skin cells that hang out on the surface of your face not only aids in that all-important cell turnover, but it also helps make your skin look brighter and more youthful. Bonus: it helps all your creams and serums work better by clearing the pathway to absorption. Enzyme peels are a perfect option for gentle exfoliation and, truthfully, I prefer them to scrubs, which can sometimes be too abrasive. 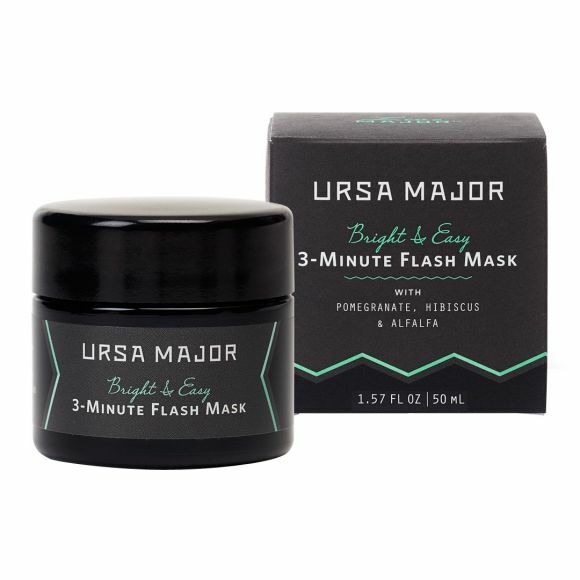 URSA MAJOR’s Bright and Easy 3-Minute Flash Mask ($44) is a perfect option for a masking novice. It uses alpha hydroxy acids and beta hydroxy acids to gently slough away those dead cells and help clarify your pores, and it only takes three minutes once or twice a week, so can be incorporated into even the busiest schedule. If you already have some deeper wrinkles around your nose or mouth and feel like you’re past the point of “prevention,” it might be time to pull out the big guns. That’s where temporary injectable filler comes in. Many men don’t think of facial fillers as a viable option for them, but they absolutely should. Fillers are one of the only non-surgical treatments to offer such immediate results. As men age, they can notice some drooping in their cheeks, which can cause sallowness, deeper wrinkles around the mouth and a jowl-like effect along the jawline. These problems can be addressed with filler, particularly in the cheeks and around the nose and mouth. You’d be surprised how the right amount of filler can help temporarily restore volume to deeper lines on the face. Of course as with any injectable treatment it’s important to talk to your dermatologist or healthcare provider about the risks as well as the benefits. Want to chat about injectable fillers? Our trained aesthetic specialists are here to help! Get real aesthetic answers, right now from our trained aesthetic specialists! RéVive’s ultra-scientific technology is based on stem cell research and serves as the base to the entire highly effective line. One of the original players in the anti-aging skincare game, the luxurious brand has a cult following to this day — and for good reason. Used on a regular basis, you can practically feel your cells knitting themselves back together. 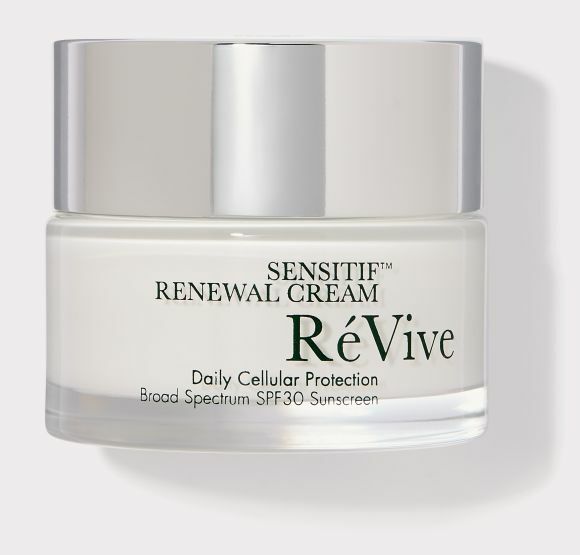 RéVive Sensitif Renewal Cream Broad Spectrum SPF 30 ($320) is the perfect all-purpose moisturizer for anyone, especially those with sensitive skin. It’s thick enough to pack in high levels of moisture, but also has a sunscreen that doesn’t feel heavy (the holy grail of daily SPF) and, of course, has all the anti-aging skincare technology you expect from the brand. 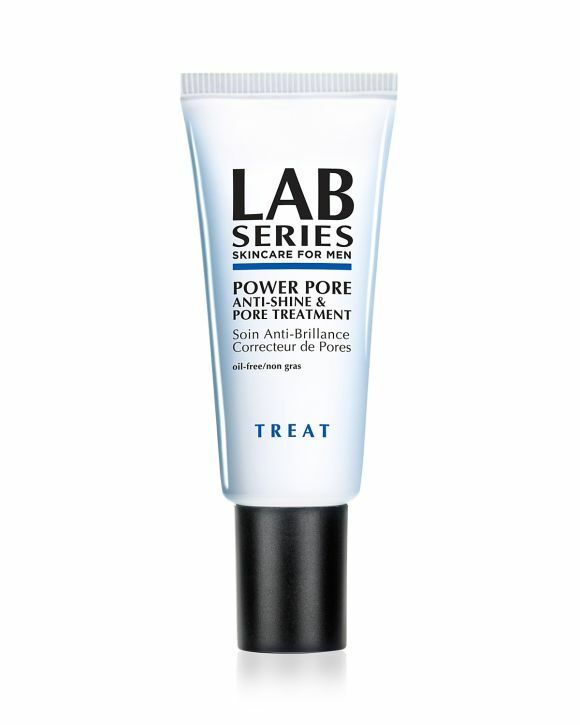 Don’t let the name fool you: LAB SERIES Skincare For Men Power Pore Anti-Shine & Pore Treatment ($25) isn’t just for your pores. This topical cream is a powerful mattifier which seems to erase visible pores. It’s completely colorless and is perfect to wear over your moisturizer and sunscreen to take away shine and keep those problem areas in check. Think of it as a real-life Instagram filter.